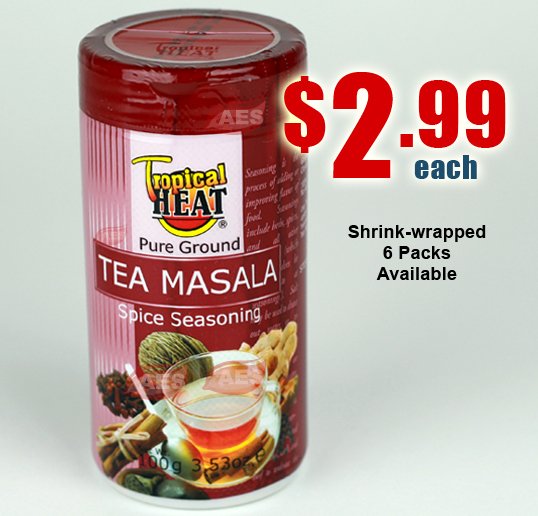 Tropical Heat manufactures pure spices, herbs, seasonings, masalas and salts. 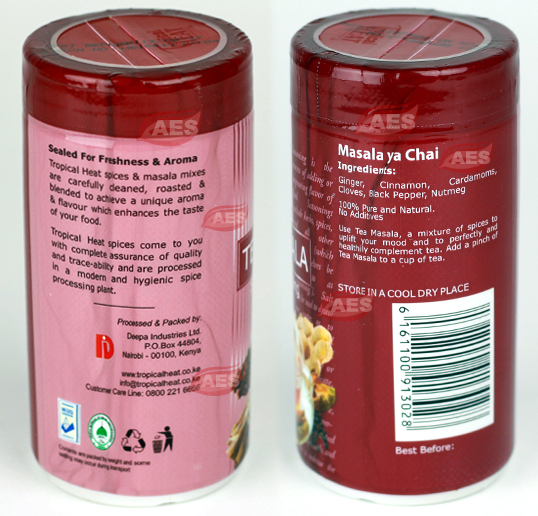 Their manufacturing processes are fully automated in a brand new hygienic factory, which is also HACCP and ISO 22000 certified. 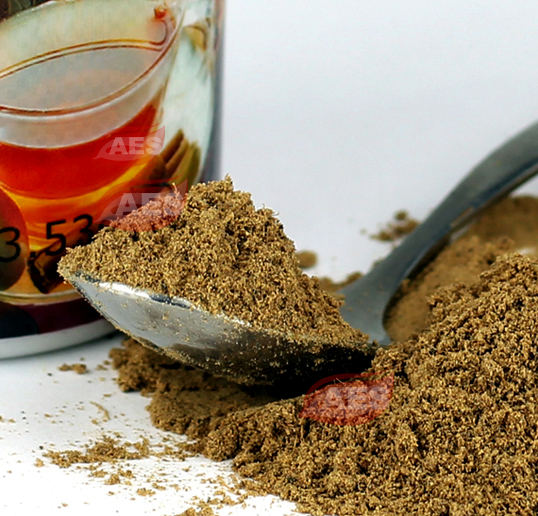 Use Tea Masala, a mixture of spices to uplift your mood and to perfectly and healthily complement tea. 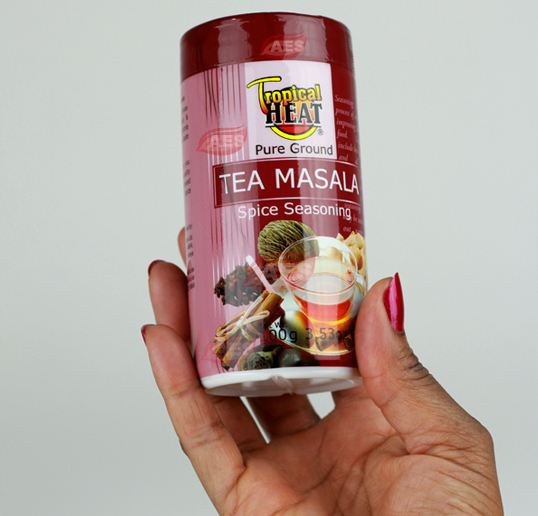 Add a pinch of Tea Masala to a cup of tea. 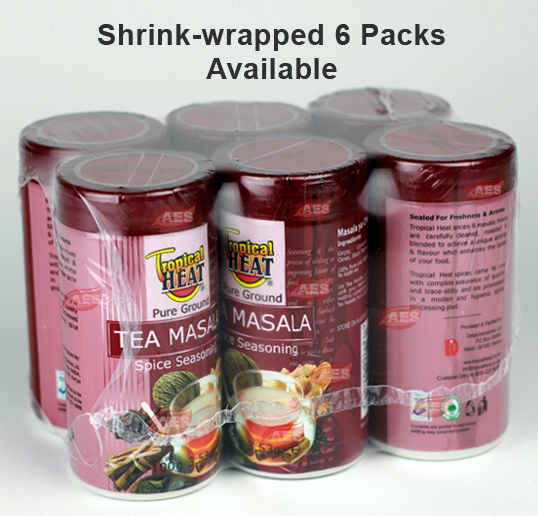 Affordable, aromatic, arrived on time, Always time for Chai! I'll be purchasing some more once this container is about a quater full. The only thing I'd like to see change is the mailing package. It was a bit much for one item. Now that I'm hooked on it, please keep it in store. I can now enjoy me tea. 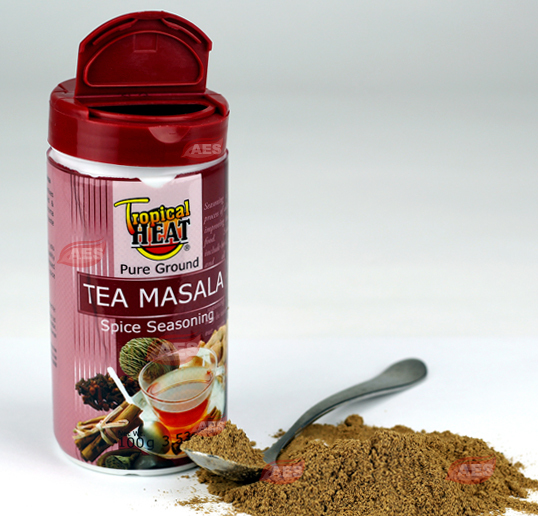 Tea masala is very affordable. @ $2.99. I can enjoy me tea.